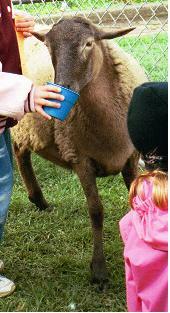 Meet our Petting Zoo family! 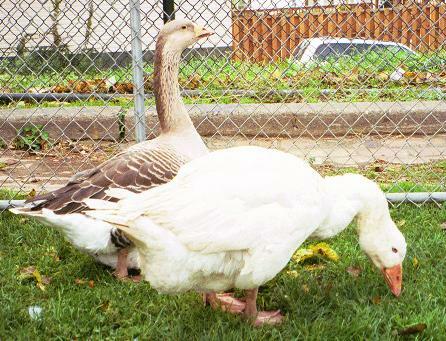 Gertie and Pete are two of our travelling goose couples. Geese are very loyal partners and mate for life. These two travel together and are quite at ease while children come and go. Is it a turkey, goose, or cross between a turkey and goose? That is the question we get everytime we take our Muscovy ducks out. Their distinctive color and shiny red faces make them the talk of every zoo both young and old. Our Muscovy ducks travel with their mallard, indian runners and peking duck friends. With each zoo we bring 2-3 different species of ducks. Meet the acrobats of our zoo. 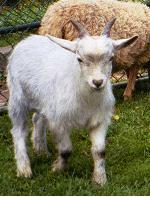 Every zoo has 10-15 African pygmy goats that come along. These little tykes are a joy to watch. Kids love to watch them jump and "bump" heads. Adults love their comic routines. Our goats are very friendly and comfortable in front of people. Each year at least one of our mommy goats gives birth right in the middle of one of our visits! Jacob sheep right out of the bible. One of the oldest breeds of sheep. Kids get to touch and feel the wool. Many folks don't even know where wool comes from. Did you do that Chicken's hair?? Where did that chicken get its hair done?? We like to tell folks that we use mousse to make it look like that. 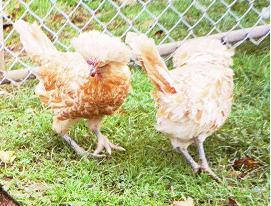 Our Fancy Polish Chickens scurry around between the goats and sheep and leave everyone envious of their hair style. 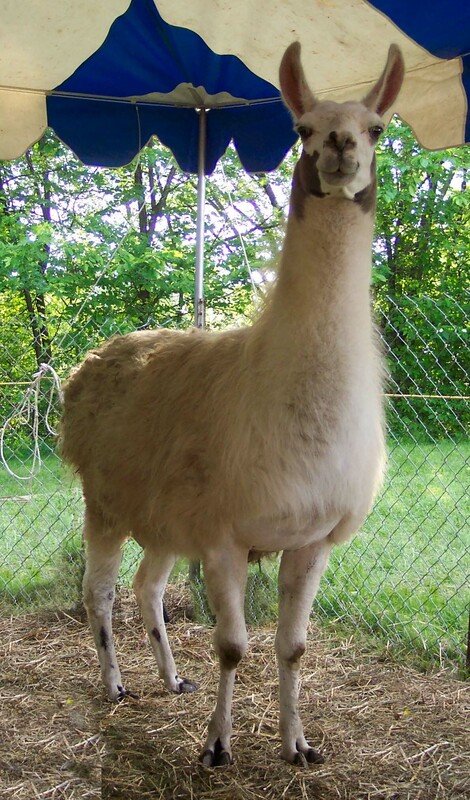 Meet the Queen of our zoo. Bernice!! 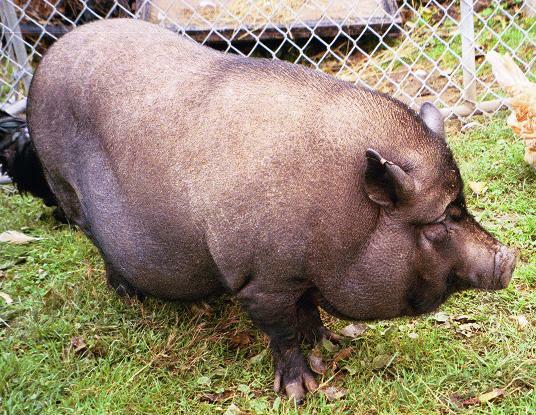 Bernice is a pot belly pig and rules our zoo. Bernice makes sure that our young animals know thier place. This year Bernice is joined by two new baby pigs. Meet Cupcake!! Standing only 18" at the shoulder Cupcake is dynamite in a small package. If there is havoc in the zoo Cupcake is in the middle. Come meet Cupcake today! 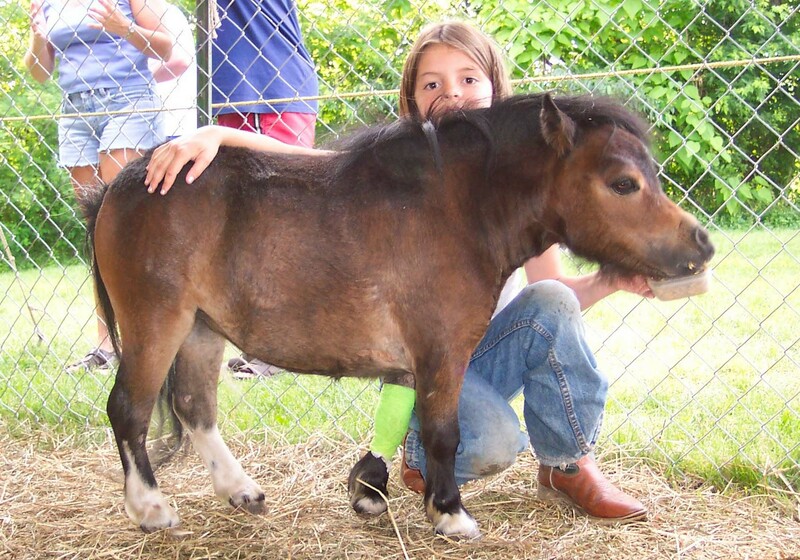 We can customize our zoo to meet any need. From a 6th year birthday party to large corporate event. We bring a brightly colored tent, fence and alot of fun. Call today for us to introduce our family to yours.